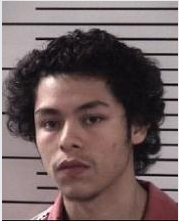 The Statesville Police Department is attempting to locate a 17-year old wanted in connection to a February incident involving shots fired in the area of Ballingarry Drive. Neptali Adam Martinez, 17, of Russell Street, has been charged with accessory before the fact, possession of a handgun by a minor and simple assault. He remains at large. The charges stem from a Feb. 24 incident when officers with the patrol division responded to the area after a report of shots being fired. Officers spoke with witnesses, who said they heard approximately four to five shots from two unknown suspects, who were seen walking toward the intersection of Ballingarry and Cappoquin drives, according to a news release. A 15-year-old juvenile has been charged in connection with the shooting incident.